Don’t you just love these retro-inspired TV series and movies? 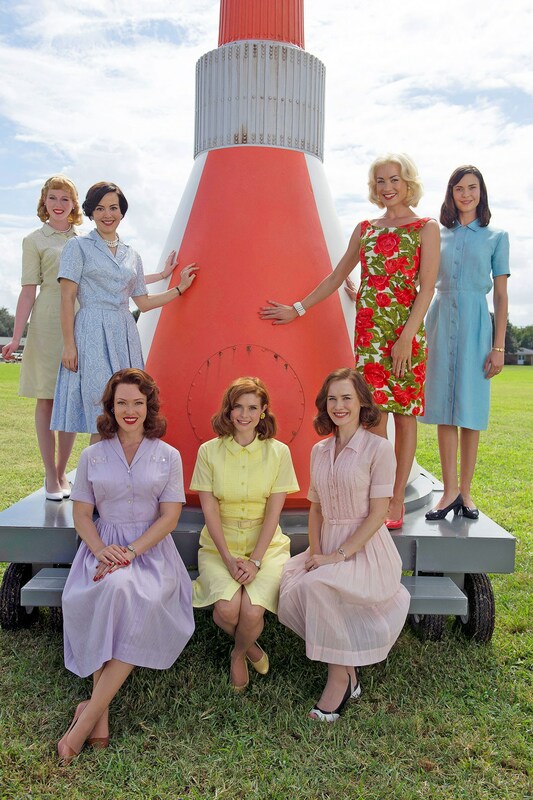 Whereas “Mad Men” was a sixties drama centered around men, the latest TV news is about a coming series entitled “The Astronaut Wives Club”, which is a sixties drama centered around seven women. One of the first trailers I saw showed the actresses in a press conference mostly dressed in pastel shirtdresses. The shirtdresses quickly took me down memory lane. I remember well the first time my mother took me shopping in a retail store in Tallahassee called “The Vogue”, a boutique located on the west side of Monroe Street between College and Park. She bought me a Ladybug shirtdress, which was a junior line from The Villager label. Both Ladybug and The Villager was very tony at the time; and the size 3 dress came with a little ladybug stickpin, which was akin to wearing a designer label. I cannot remember if the dress was pastel, but I do believe it had a tiny print on it. None of this mattered, though, at the time; because what was really important was the fact that I was finally big and old enough to shop in a women’s dress store. All we girls wanted was to be grown up! And poor dad. Those dresses were not cheap. Click here> Who What Wear to see their latest blog post entitled “Exclusive! Behind the Swinging 60’s Wardrobe of The Astronaut Wives Club”. “Who What Wear” says that Emmy-winning costume designer Eric Daman is the talent behind the gorgeous swinging sixties wardrobe. In this blog he shares an inside look into how he launched the signature styles of the women behind America’s first astronauts. By the way many of the characters in this new series have last names that we baby boomers can identify –names like Louise Shepard, Rene Carpenter, Betty Grissom, Trudy Cooper, and Annie Glenn. The series is based on the best-selling novel by Lily Koppel. The novel is said to be a true story. These everyday families were thrust into American history and became a big part of our sixties culture. These women quickly went from anonymity to ticker tape parades in New York City. Click Here for a teaser trailer of the new show. Unfortunately, it took my computer a little while to load, so please be patient. It is worth it. I also noticed that many of the TV scenes look like the Cape area in Florida. That should be fun for those of us who grew up here in the Sunshine State. 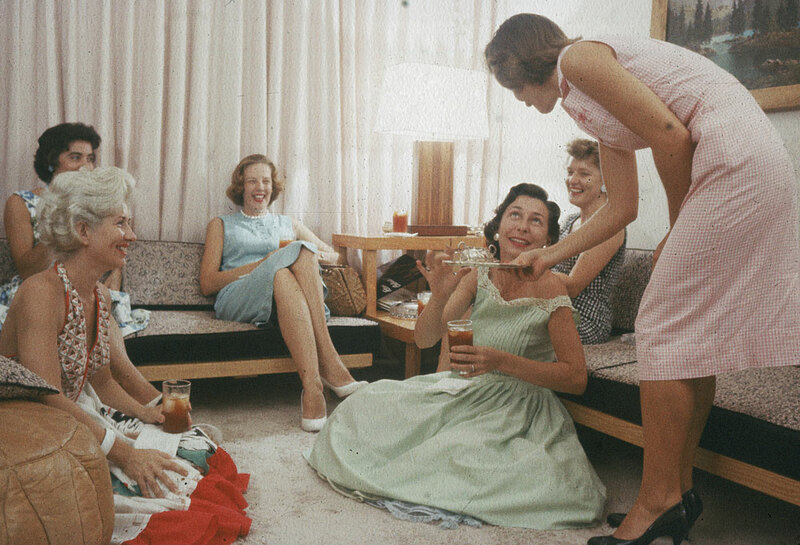 Below are more photos to compare, the top one showing the actresses and the bottom photo showing some of the real astronaut wives at a party in Virginia. I guess you know where I’ll be on June the 18th. 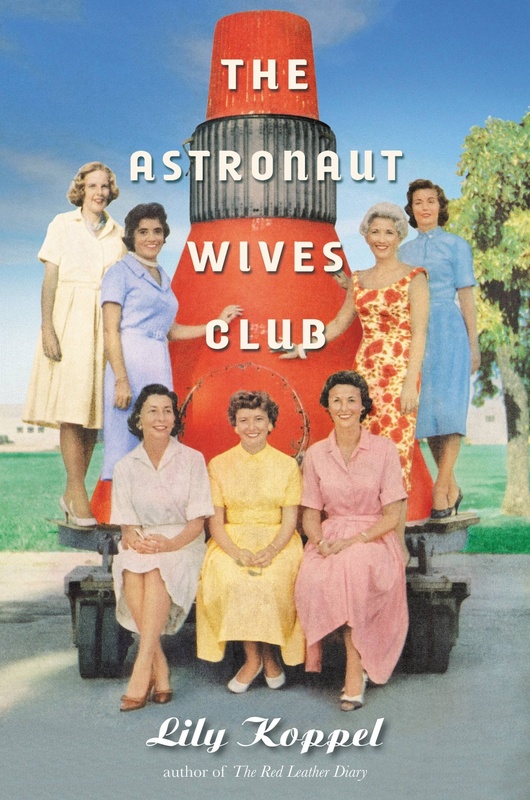 I’ll be watching “The Astronaut Wives Club” on ABC. The ten episodes begin on June 18 on a Thursday at 8/7c.